"Are you happy with your life?" Those are the last words Jason Dessen hears before the masked abductor knocks him unconscious. Before he awakens to find himself strapped to a gurney, surrounded by strangers in hazmat suits. Before a man Jason's never met smiles down at him and says, "Welcome back, my friend." Schrödinger's box gets opened. Meh steps out. Unique children's story... Loved it! But devotion to honor and hunger for vengeance run deep on both sides. Darrow and his comrades-in-arms face powerful enemies without scruple or mercy. Among them are some Darrow once considered friends. To win, Darrow will need to inspire those shackled in darkness to break their chains, unmake the world their cruel masters have built, and claim a destiny too long denied - and too glorious to surrender. This series broke my heart a million times. It made me forget what I was doing and tune out the world. It made me hold my breath and laugh out loud. This is some seriously good writing. I'm normally not a Sci Fi girl but I'm so glad I tried this out. The world is expertly crafted and I fell in love with the characters. I feel like they are my friends and I'm sad that it's over. I highly recommend this to anyone who loves an excellent story with believable characters who are flawed and imperfect but make you love them, forgive them, cheer for them and cry for them. Tim Gerard Reynolds is also one of my favorite readers (why I got this book in the first place actually, along with a good review from someone I follow) and he did an amazing job, as always. If I would have known how great a series I was about to get into, I would have waited for a weekend where I was not so busy. I blew through these books in 4 days. The feeling of satisfaction I had after reading the last page was sublime. Anyone who has a great imagination pick this book up. Just kills thousands of his people, spends 20 minutes being melodramatic about the poet dying... illogical nonsense. Book is on fast forward, painful to listen to because of the idiocy. 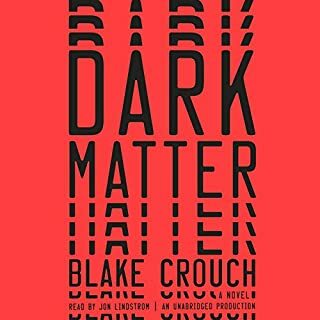 Loved the first two books, hated this one... had to stop listening several times. The narrator did his best with what he had to work with. This series has been full of shocking betrayals by Darrow. This time he went so far beyond the pale the series just completely quit making sense right in the middle of this book. Beautifully written, but highly flawed. Enjoyable, but by the time I got through this I was pretty much done with the story. I liked the first book, 2nd book was slower, this one was just...meh. Good concept. Didn't like the execution. I thought that this series started strong with an entertaining premise and a speedy pace. However, I felt like it never came together and got progressively worse as the story continued. I guessed that it was rushed to print because the continuity and world building was confusing to me and I sensed the need for better editing. Then again, if you liked the Hunger Games, you might like this series. I did not like either. This story fell flat in this third book. I was getting a little bored as in parts. The ending was decent, but was glad it finally wrapped up. I would have to go back to the first book to really tell, but it seems like the first was the only mature novel. This was disappointing to say the least. It is a good young adult fantasy novel, but not for us who seek complex, mature story telling. I love the narrator, Tim Gerard Reynolds. He could read the dictionary and I would be enthralled. His female and male voices are spot on for this series. Until the 3rd book of the series, I was hooked. What did me in was the violence, and even then I suspended my repulsion until the last 2 hours. 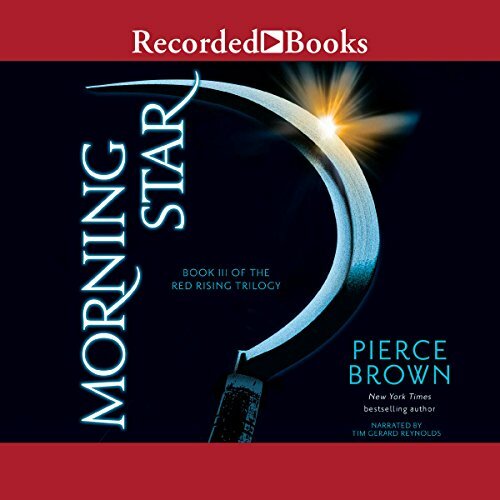 I will listen to the end, but Pierce Brown has written a story that has actually made me start wretching and listening double time. Basically, a well-written story, and worth the credits for the first two books. If you can stand torture, killing, and amputations, then the third book is for you. I wish there had been an abridged version. A satisfying finale to the trilogy, gripped me throughout. Steady downbeat narration kept an often bloody storyline on track. Enough plot twists & reveals to sustain the story length. What a book! loved the twists and turns. Some you could see coming but others were out of nowhere. highly recommend the all three books. TGR is a brilliant narrator, he took a great story and breathed life into the characters, so consistent, convincing and nuanced. I've loved this trilogy, listened to all 3 in one week. The story is captivating and fast paced, but I never got lost. The narrator does an excellent job. 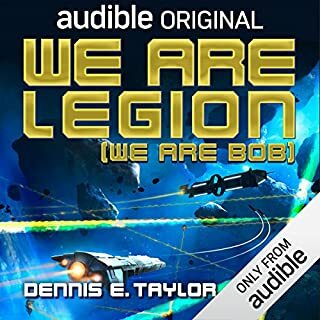 highly recommend, this (I believe) transcends across genres, well worth a go even if you don't traditional enjoy sci fi fantasy, there is far more here! I'm left feeling bereft after going on the often heartbreaking, action packed, twisting, messy yet beautiful journey with Darrow through this trilogy. A new favourite and more mature and vast in its scope than many dystopian novels. Gritty yet touching with moments of humour that made me laugh out loud (something I seldom do when reading). 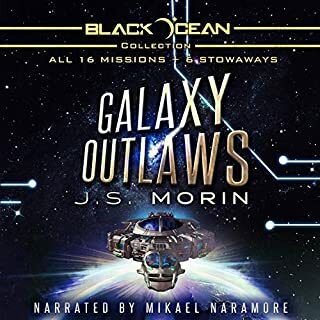 The audiobook narration is great and adds rather than detracts from the telling although frustrating when I was literally gripping the edge of my seat wishing I could speed through to find out what's next. if all that isn't enough to tempt you to read then know I rarely leave reviews but these three truly deserve all the accolade and I'm just sad it's over. Oh my. What a ride that was! This book trilogy was gory damn fantastic! I'll definitely be listening again in the future!! What a magnificent trilogy! I was completely enthralled from beginning to end and felt every single emotion imaginable inbetween. I was initially discouraged with the 'space/sci-fi' concept but they are genuinely one of the most gripping stories that I have ever known; an identifiable concept despite the alien backdrop. Truly engaging characters, wonderful narration and non-stop excitement - I cannot recommend the entire trilogy highly enough. Tremendous! 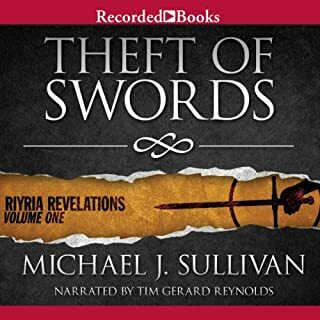 Book is brilliantly narrated and good ending to the trilogy. avoids cliches and keeps you guessing. moving, exciting, and unexpected from beginning to end! truly a great tale of endearing characters. loved it! Arguably the best trilogy I have ever read. Awesome characters with genuine depth, as a narrator Tim is spine tingling. as a writer, Pierce is a Jedi Master. As for the upcoming movie, I feel like I felt when I read that an eccentric director called Peter Jackson had aquired the rights to LOTR. As the source material was so good and so special to me I was petrified it would be slagged up. Thankfully I couldnt have been more wrong. Bloodydamn read it and break the Chains!!! A captivating and exhilarating space adventure! Without a doubt, the best trilogy I have ever read. Brown has catapulted himself into the upper echelons of literary greatness. can't say I have ever been as captivated by this book since "the Lord of the rings" trilogy. absolutely phenomenal! I love this series...and oh what an ending! 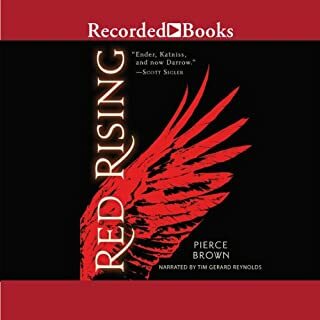 Pierce Brown has created the saga of our generation and with this conclusion to the first trilogy, has cemented himself as a great new author to watch, as his career develops. Loved it but needed Tissues.... driving to work with tears streaming down my eyes. Outstanding Narration, had me holding my breath, brilliant. What a good series. Cannot see why it has so many mixed reviews online. Too many people complaining about the violence but the details are why this was so good! It's a solid book 3 to the trilogy. Some plot elements seem to go to the dramatic, but the rise is an enjoyable one. 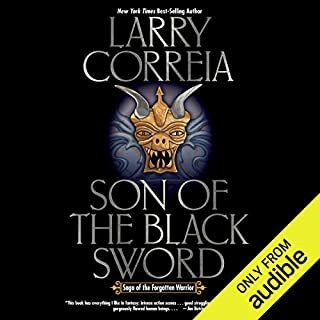 Best audio book series I have ever listened to. I cannot recommend it highly enough.